The Thanksgiving leftovers have barely had time to get cold in the fridge when I'm dragging out the Christmas boxes. Due to scheduling issues, we're actually celebrating Thanksgiving on Friday this year, but that doesn't change anything. In fact, it just means I'll have more people available to help build the Lego Christmas village. This might become a new permanent plan…don't tell the kids. It would be fun to show up at a party with this Santa's Belt Surprise Inside Cake from I am Baker, but sadly I wouldn't be able to let anyone actually eat it after all that work. Decorative cake is a thing, right? I love the idea of this Letter for Santa Pocket Pillow from Sew4Home. Cute décor through the season, then it's a kind of post box on Christmas eve. 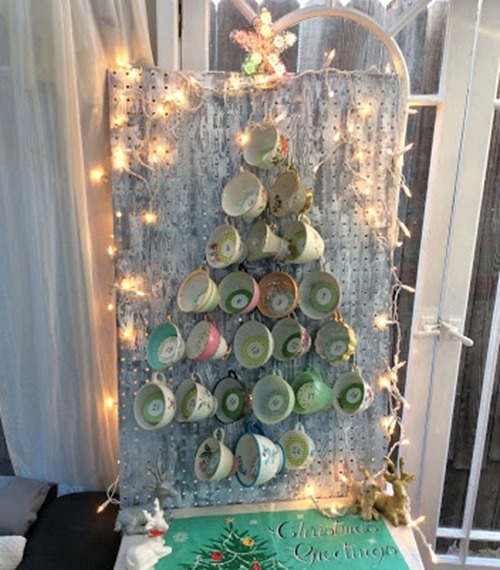 What sewist wouldn't appreciate this Sewing Themed Mini Christmas Tree from Craft Attitude? If you'd like to bring a little Christmas Island to your holiday season, try these Pineapple Pinecone Ornaments from Brit + Co.
Cinnamon rolls are a Christmas morning tradition in our house, and I wouldn't mind shaking that up a bit with this eggnog version from Crazy for Crust. 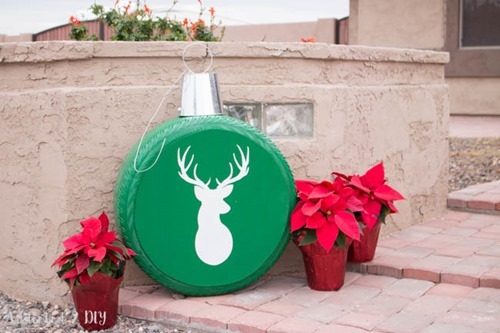 These Giant Christmas Ornaments from Old Tires from Addicted 2 DIY wins this week's Most Ambitious craft award. Wow! I have to have some sort of Christmas countdown happening each year. This teacup version from Sweater Surgery would be pretty in a dining room. This printable Santa with his little glasses and boxers from Gloria Fort Studio is adorable, and she has a few other Christmas characters on her site as well. I like the combination of the embroidery thread and wood on these ornaments from Vikalpah. Fun kid project. This Pinecone Kissing Ball from Crafts Unleashed is so much prettier than my plastic mistletoe that I'm more ashamed to pull out each year. I think it's time for something new.